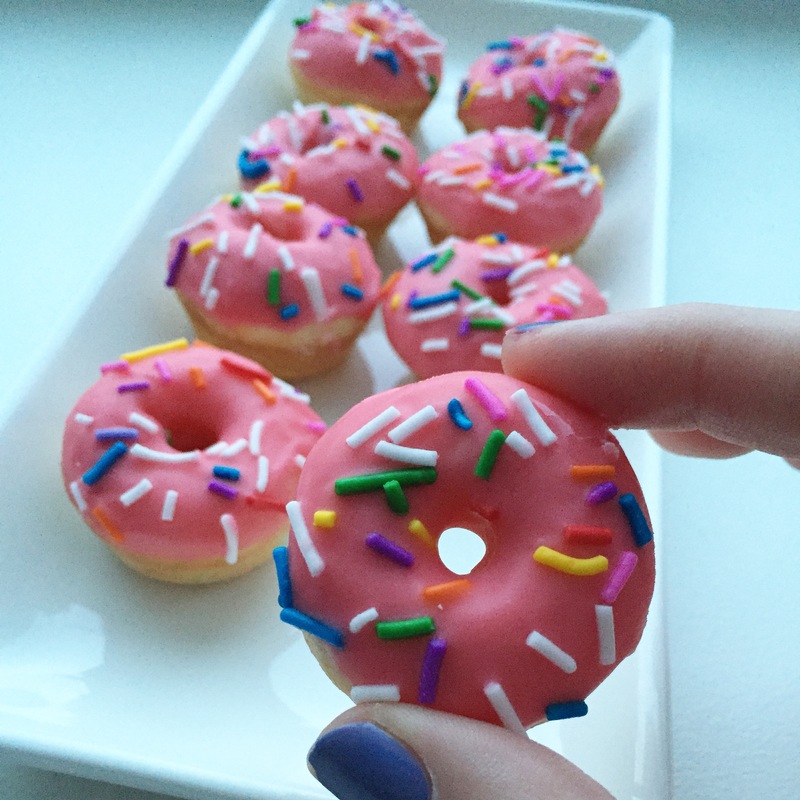 February 10, 2016 February 10, 2016 by Sara Stafford1 Comment on Mini Donuts! 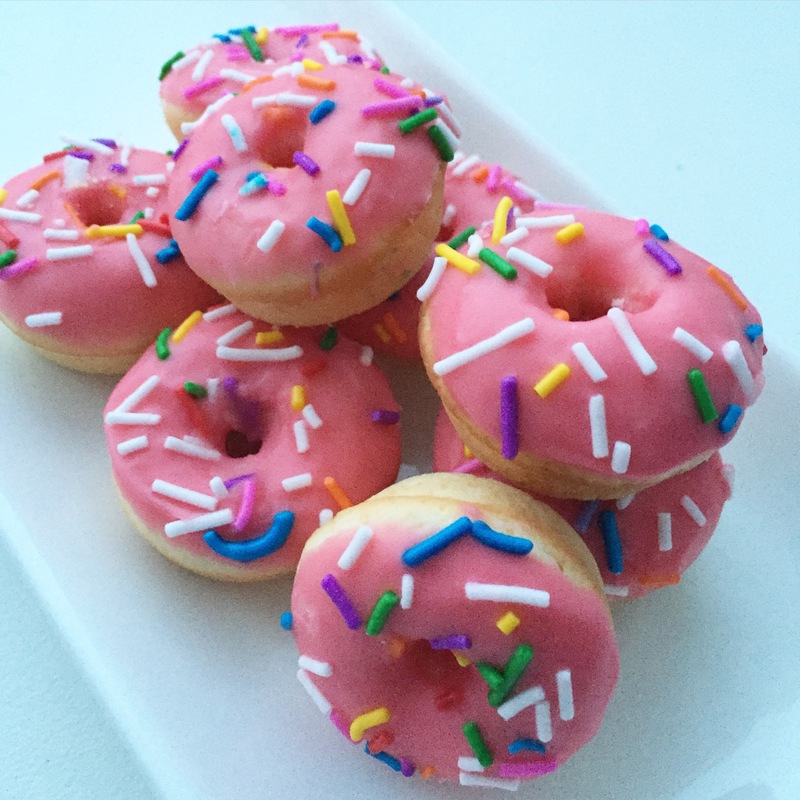 Who doesn’t love donuts? And who doesn’t love anything mini? These sweet combination will be an absolute treat whether it’s for a party or just because! 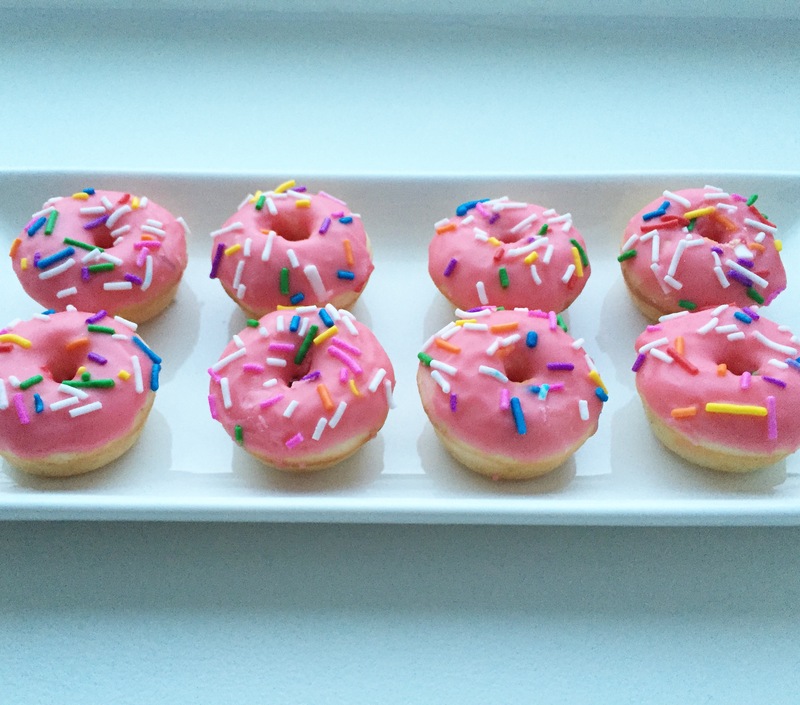 I used the Wilton non-stick 12 cavity donut pan. I picked mine up from Michaels Canada and used a 40% off coupon! I’m always keeping my eye open for really good coupons, and typically every week Michaels has a 40% off one regular-priced item or sometimes even 50%. I wait to buy items such as these until a coupon becomes available! The batter was really easy to make (I just went on Google and got a simple recipe and did the same for the icing.) 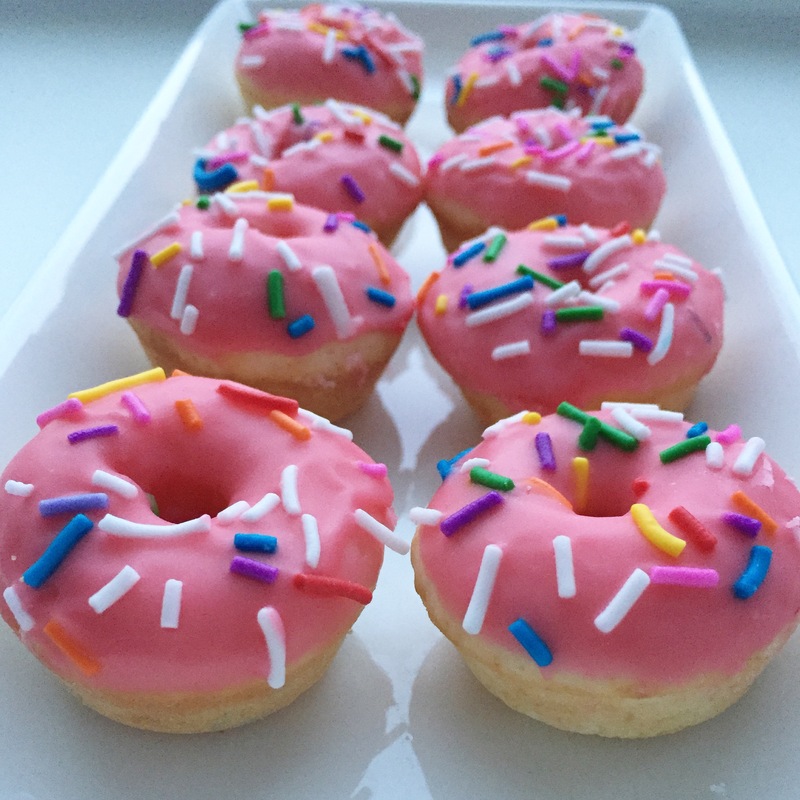 I opted for a basic vanilla donut with vanilla icing that I died pink to get the desired effect and used large sprinkles. You can really get creative here and use any sort of flavours or colourings your little heart desires! I was really pleased with how these turned out and how easy the pan was to use! These were a huge hit and I keep getting requests to make more! I found that these were more popular compared to if I were to have made full-size donuts, these ones flew off the platter in minutes! Here are some pictures of the adorable little yummies!